A Universal Studios Florida original attraction, JAWS, has officially closed. Opened with the rest of the park in 1990, JAWS was a unique Intamin-conceived, water-based guided tour that reenacted some of the most iconic scenes with the giant shark. The 5 minute tour was heavily influenced by the often crazy skipper guides who narrated the entire journey. Although it may not have been the most technologically advanced, or based on the latest and greatest movie franchise, it was an enjoyable experience that truly had the “magic of the movies” quality that was prominent throughout the original Universal Studios Florida. Ever since Universal announced the closure of JAWS last month, fans have been wondering what will replace the 7-acre attraction. With the additional overflow parking lot just behind the ride, the area is poised for a massive expansion. Rumors sprawled ranging from a Transformers attraction, to something entirely original. However the most prominent rumor was a possible Wizarding World of Harry Potter expansion. Its no secret that the Studio’s sister park, Islands of Adventure has seen massive growth ever since those wizards have set up shop. So much so, that for the first time in years, the park surpassed Universal Studios Florida in attendance. And while strictly my own view, the incredible design of the park, accompanied by the top-notch quality of Wizarding World made Islands of Adventure significantly more enjoyable during my visit compared to the Studios. Rumors indicated Potter would expand next door with the mysterious Diagon Alley, an iconic spot from the movies. Connecting the new Harry Potter section to the one just next door would be Hogwarts Express, a shuttle going backstage between the two lands, simulating the train journey from the movies. 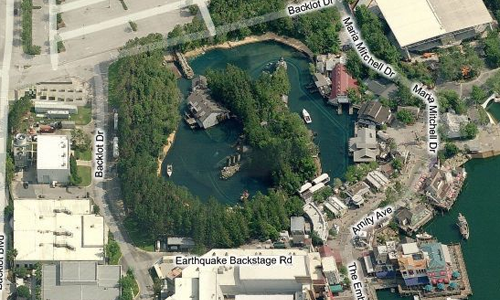 But would Universal really spend hundreds of millions of dollars on one franchise in two adjacent parks? According to this article, they would. In the allegedly leaked plans obtained by Theme Park Insider, all of the just stated rumors have been confirmed. The headliner attraction of the new Diagon Alley area would be a heavily themed coaster themed to Gringotts Wizarding Bank. While at first glance, the coaster appears similar to Revenge of the Mummy coaster next door, the trains are rumored to have a motion base, allowing for dark ride sections reminiscent of The Amazing Adventures of Spiderman next door, and the upcoming Transformers: The Ride at Universal Studios Hollywood. Read the full article here. As a huge fan of The Wizarding World of Harry Potter next door, I can’t help but be completely zealous over the thought of a heavily themed coaster racing through the dark vault. And while it is sad to lose a quality attraction like JAWS, if something as impressive-looking as this replaces it, I am sure there will be minimal complaints about the JAWS’s removal. And from a business stand-point, the expansion is genius; in order to get the full Potter experience, you must visit both parks. A total win-win for the park and customers. While nothing is official quite yet, it is likely that we will soon be seeing the ever-popular Harry Potter franchise move into both parks of Universal Resort Orlando. An announcement is expected sometime this Spring. I hate to see this expansion, but the truth is, it will bring the park a whoooooooooooooole lotta money!